Get WeWood Discount Code 40% Off on Select Styles of Watches in March 2016. WeWood is a line of specialty watches and products that are made from wood that are stylish, natural and comfortable to wear. 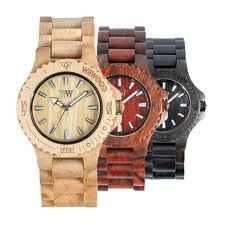 WeWood Watches are unique and fashions a earthy chic design. I offer WeWood Coupons to save you money on your next WeWood purchase. 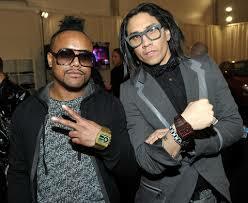 WeWood Watches were recently introduced to the United States after several successful years in the European market. These awesome, unique, beautiful, 100% wooden watches are on everyones wrists today. WeWood Watches are made from timber and are high tec timepieces that reconnects you with nature. They are simple and elegant in design and with every watch purchased WeWood replaces a tree. WeWood wants you to feel the difference nature can bring, completely absent of artificial or toxic material, WeWood fashion watches are stylish, natural, and comfortable to wear. WeWood has become known as one of the “best mens watches” from some of the leading fashion and lifestyle periodicals, blogs and fashion insiders. Women have come to love these watches to, with its oversize face and comfortable feel. These unique watches embody fashionable green products, and flirts with earthy-chic design savvy. WE fashions wooden timepieces from mostly scrap-wood and uses state-of-the-art Miyota movements for the ergonomics, resulting in a unique watch that’s handsome, earth-friendly, and splash-proof. The first timepiece was designed in Florence, Italy in 2010 and with the widespread craving for nostalgia and eco-friendly ethos, WeWood hit the scene as the avant-garde approach to sophisticated sustainability. A few months later, WeWood opened a branch in Los Angeles, CA and teamed up with tree-planting-partner, American Forests. WE is helping to restore Mother Nature, one watch at a time, by planting a tree for every WeWood purchased. WeWood offers a 24 month warrenty with their watch. 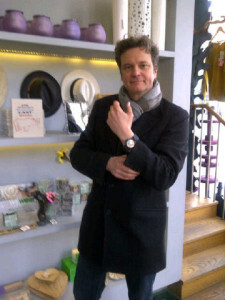 WeWood watch will fit anyone, its a one size fits all kind of watch! The band is just over 8 inches (220 mm) long and can be adjusted down to 6 3/4 inches (172 mm) short by removing links. If you need an extra large band, you can purchase extra links at $5/link (+ an additional shipping charge of $5 for US shipments and $7 for Canadian shipments) by sending a request to support@we-wood.us. And it looks great on any size wrist! There are video tutorials on the We-Wood.us website covering all your questions regarding the watch, sizes, battery replacement, how to open the clasp, link replacement or adjustment and maintaince of watch. I liked these videos because they are really helpful. 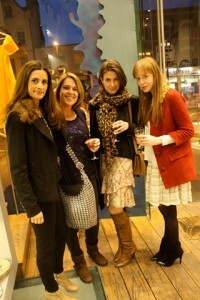 WeWood has been featured in several magazines and papers, Cosmopolitan, Origin, and Chicago Tribune to name a few. 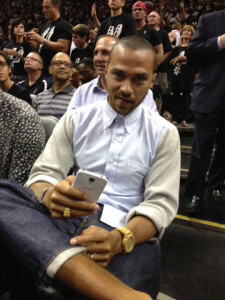 Jesse Williams was spotted court side at the 2013 NBA Finals wearing a WeWood watch. Its an elegant timepiece that lets us rediscover nature and all its beauty. People who own a WeWood watch absolutely love it and think its a really cool idea. There hasnt been to many negative reviews, people have given it 5/5 stars. 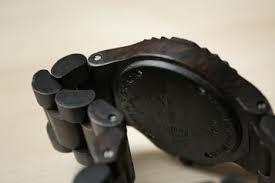 WeWood is a wooden watch made out of beautiful scrap wood, its light weight and handles well. Like any piece of jewelry the care and delicacy of handeling the watch should be kept in mind when purchasing it. 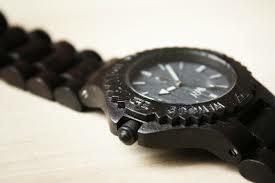 If your looking for a rough an rugged watch, WeWood would not be the watch to go with. But if your looking for a unique and personal eco-friendly watch that could lean more to the delicate side of watches, then WeWood is perfect for you. I like WeWood because of its eco-friendly, chic earthy look, that can spark up conversation and knowing that my purchase helped take part in saving my forests by planting a tree!